This Cartridge Filter Kit includes one replacement filter and one replacement check valve for the SoClean 2. The filter and check valve should be replaced every six months. This kit is suitable for all SoClean machines with "1200SC" in the serial number. The cartridge filter converts activated oxygen back to regular oxygen as it leaves the SoClean 2 chamber. The check valve prevents water from your CPAP from damaging your CPAP electronics. IMPORTANT: FILTER KITS ON AMAZON MUST BE PURCHASED FROM SoClean TO ENSURE AUTHENTICITY. Please check sold by SoClean before making your purchase. Authentic SoClean filters contain technology required for safe use of the SoClean device. In order for SoClean product warranties to remain valid, you must use an authentic SoClean filter. Warranties will be voided if the product is used with an inauthentic filter. For people sleeping or using a CPAP, BIPAP or any other PAP machines, it is important to constantly clean the machines and tubes to keep it sterile, germ and bacteria free. A person that sleeps approximately 6-8 hours a night, breaths on average 5,000 breaths a night which is over 2 million breaths a year. Now add on to that someone that is breathing through a mask and tube, especially one that humidifies the air, that is an absolute breeding ground for bacteria, germs and infection to live and grow. For this reason it is VERY IMPORTANT to clean the CPAP mask and tube on a constant basis. 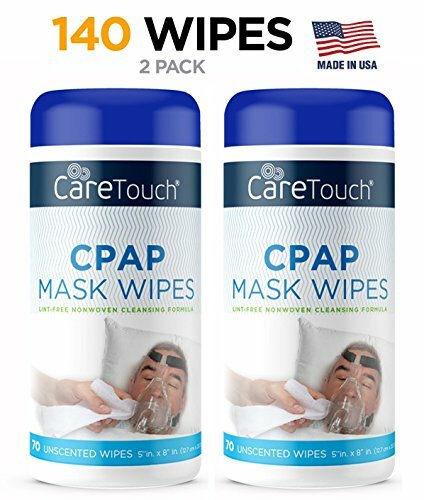 These Care Touch CPAP Mask Wipes make it easy to do so. The wipes is easy enough to quickly clean your cpap supplies be it your mask tube or machine. The wipes are unscented so all you get is a fresh clean machine! Check out our full line of quality CPAP supplies for your CPAP machine. Breathe easy, we've got you covered! 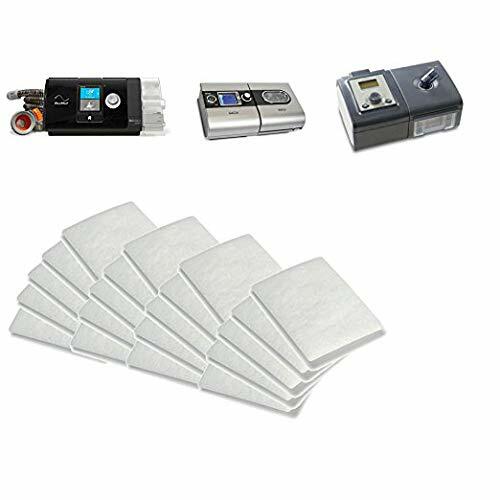 CARE TOUCH CPAP SUPPLIES: Check out our full line of supplies for your CPAP and BIPAP machine. From hose and mask brushes, mask wipes, CPAP hoses to CPAP hose holders. Breathe easy, we've got it all! No Prescription Required - approved by the FDA for over-the-counter use. 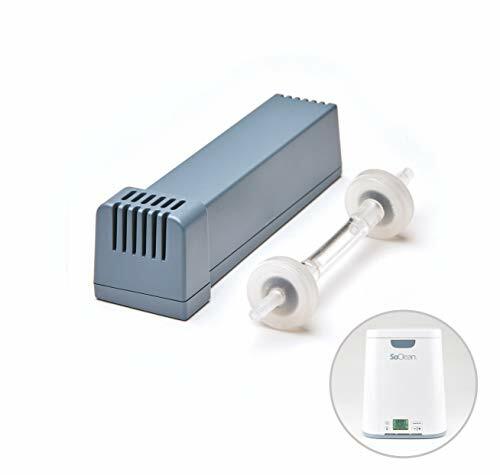 The ClimateLineAirTM heated tube combines with the HumidAirTM heated humidifier built into AirSenseTM 10 therapy devices to deliver an optimal temperature and humidity level. Nuance Pro Gel Nasal Pillow System - NEW - RETAIL PACKAGING. Item ships within 24 hours. 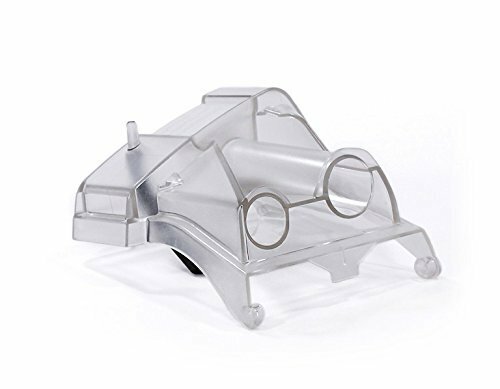 Replacement water tub for the ResMed AirSense CPAP HumidAir humidifier. This is the standard water tub and CAN be opened. 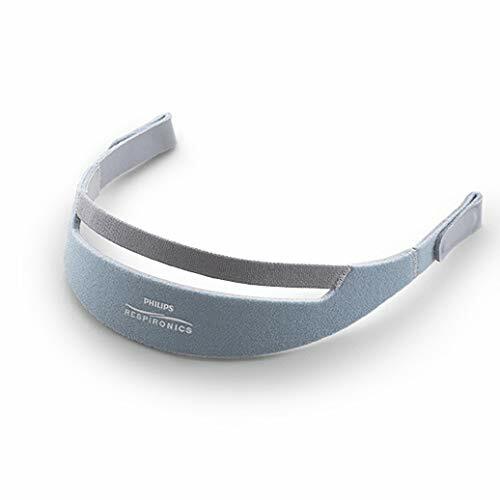 This product is the replacement headgear for the Respironics DreamWear Nasal CPAP Mask. Remember, replace your CPAP headgear every 6 month for optimal use. 3 Steps to Make CPAP Simple, with The World Leader in CPAP Comfort. We All Want to be Happy, Healthy and Get a Good Night's Sleep. But if Your CPAP Machine is Filthy, Irritating and Forcing Polluted Air into Your Lungs, You'll be Exhausted. We Get It, and We've Been Through This With Over 1 Million CPAP Users. We Want to Help You Thrive by Getting a Good Night's Sleep With Your CPAP. We Have You Covered for All Your CPAP Supplies: Cleaning Wipes, Filters, Carbon Cartridge Filters, Hoses (Black-Out CPAP Tubing), Petroleum-Free Lotion (CPAP Chap), Neck Pads, Hose Covers and So Much More..
Make CPAP Simple, Order Today with RespLabs Medical. Avoid a Filthy, Irritating, Air Polluted CPAP Machine. Make CPAP Simple, So You Can Be Happy, Healthy and Get a Good Night's Sleep Again. RespLabs Medical Inc. is a registered trademark by RespLabs Medical Inc. All Rights Reserved. 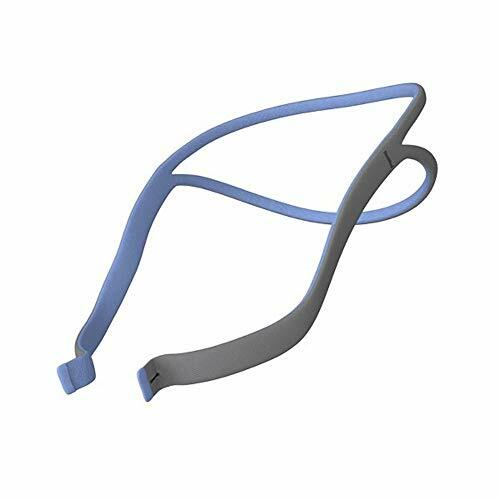 Intellectual Property and trademarks include: Black-Out CPAP Tubing, The World Leader in CPAP Comfort, CPAP Chap, Make CPAP Simple , Better Than Original . 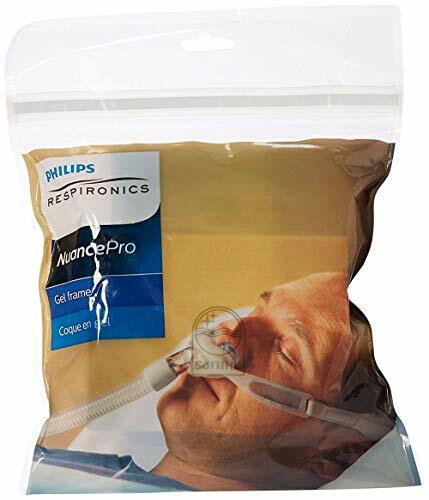 Any depictions of CPAP supplies, accessories, cleaners, sanitizers, mask, hose, headgear, humidifiers, are for informational purposes and are not included with purchase. RespLabs Medical Inc., is an independent company not affiliated with Fisher & Paykel, Philips Respironics, ResMed, SoClean, Apria, Lincare, or McKesson. Names & trademarks are owned by respective companies. We are not affiliated or endorsed by any CPAP, BiPAP, masks, machine manufacturers. FILTHY, OLD, PET CHEWED CPAP TUBING: Replace It Quick And Breathe Easy. 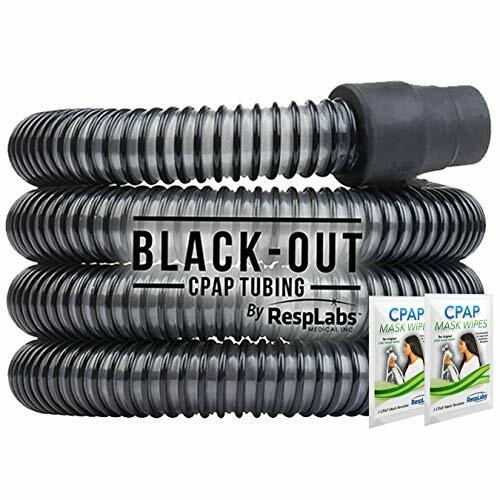 WITH THE ORIGINAL BLACK OUT CPAP TUBING : Fits All CPAP and BiPAP Machines. THE RESPLABS MEDICAL PROMISE: If you don't like it, send back for a full refund. Brand: RespLabs Medical Inc. | Manufacturer: RespLabs Medical Inc. 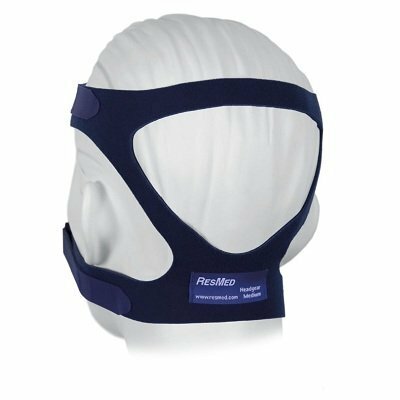 The Universal Headgear for Mirage Masks manufactured by ResMed is a high quality, convenient, comfort-inducing device designed to work with a plethora of CPAP masks. The universal headgear for the Mirage series is exceptionally well-constructed and easy to put on - to use, simply wrap the device around your head and then proceed to personalize your fit by adjusting the straps. The universal headgear has two sets of adjustable straps so you'll be able to create a customized feel without issue or hassle. The universal headgear comes in small, medium and large is has a stylish blue coloring. 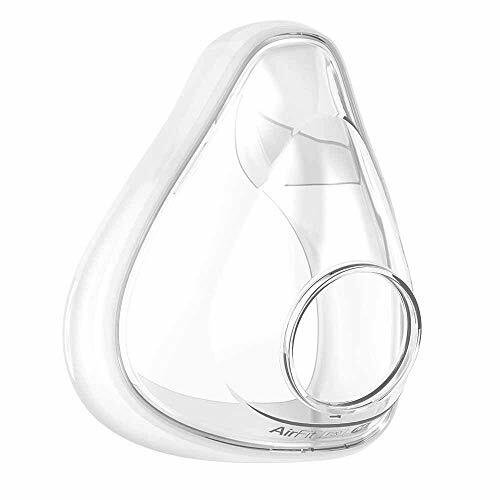 Product is known to work well with: Mirage Micro Nasal CPAP Mask Ultra Mirage II Nasal CPAP Mask Mirage Activa LT Nasal CPAP Mask Mirage Quattro Full Face CPAP Mask Ultra Mirage Full Face CPAP Mask Mirage Activa Nasal CPAP Mask Mirage Micro for Kids Nasal CPAP Mask Mirage SoftGel Nasal CPAP Mask This package includes 1 headgear only. Masks and clips sold seperately. 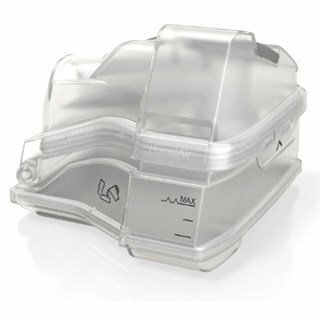 These are disposable CPAP Filters for AirSense10 and AirCurve10, and S9 machine series by ResMed. 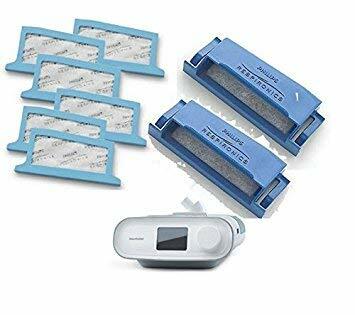 COMPATIBLE WITH VARIOUS CPAP MACHINES- If you are looking for the perfect disposable CPAP air filters for any of your CPAP Machines from ResMed AirSense 10 and AirCurve 10 to S9 Series CPAP, then you have landed the perfect place! Don't hesitate and buy these filters! THE PERFECT FIT AND FILTRATION - Each filter measures 2 1/8 x 1 7/16 to fit your machine precisely. Each filter is a combination of material engineered to block fine particles and large particulate matter, so you can breathe easy. TIME IS VALUABLE Forget the ever so common & constant fight with insurance companies. Forget having to take your resmed card in to be read, just to be given 1 or 2 filters a month. Order 20 filters and be able to change them frequently to live a healthy safe life style! 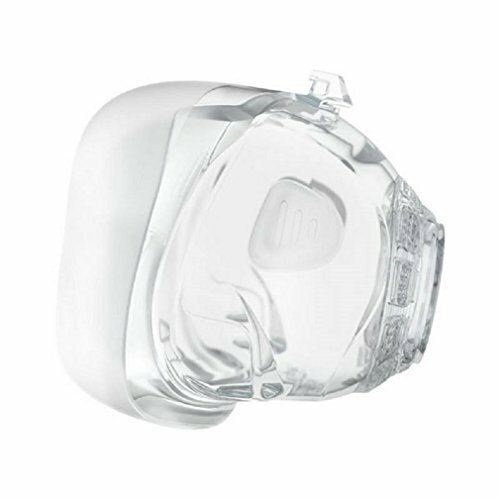 This adapter is necessary to ensure that the Resmed AirSense 10 continues to function properly while the user s CPAP system is connected to the SoClean CPAP Cleaner and Sanitizer. It s designed for use with all SoClean models. 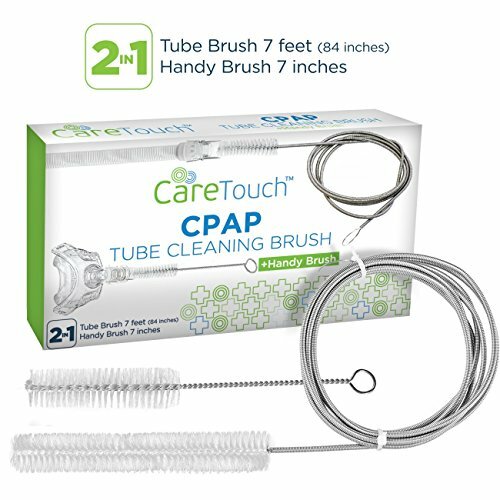 These Care Touch CPAP Cleaning Brushes make it easy to do so. The cleaning brush extends up to 7 feet so you can clean the entire length of the tube at once. The handy brush is great for the CPAP mask, to clean the opening where the tube gets inserted, without the 7 foot coil at the end. Use a mild detergent and warm water. Keep the tube as straight as possible and gently work the brush in a back and forth motion, in short strokes, gradually working further inside the tube. Avoid aggressive use when cleaning. The fan tipped brush will reduce stress to tubing walls. However, it is recommended the CPAP tube be kept straight as possible during cleanings to avoid unnecessary wear or damage. When done cleaning, thoroughly rinse tube with a stream of cool water, Gently pat the bristles until dry to the touch and hang somewhere where there is air circulation. Carefully loosen and straighten tube brush, maintaining a hold on both ends. Once unwound, we suggest finding somewhere to hang the brush. 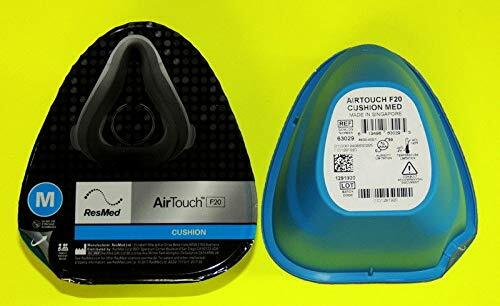 The AirTouchTM Full Face cushion is interchangeable with the AirFitTM F20, and the AirFitTM F20 for Her Full Face CPAP Mask. Available in Small, Medium and Large. All size cushions fit the F20 frame which is universal to all F20 cushions. The plush memory foam cushion is designed to conform to the unique contours of each individual face, creating a light, soft, breathable seal that stays in place throughout the night. 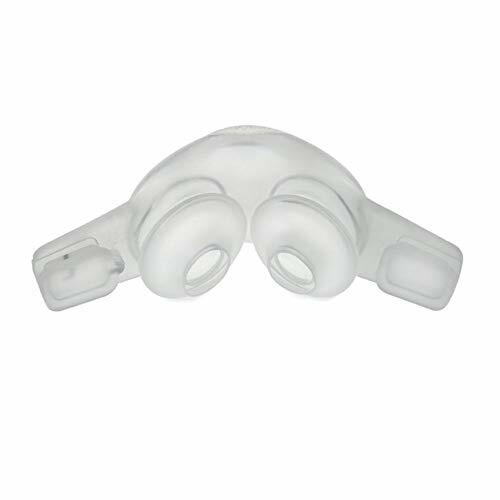 Replacement cushion and clip for the ResMed Mirage Quattro full face mask. Air fit p10 headgear assembly. At Resmed we Believe that every breath is an opportunity to make a positive change to people s lives. We ve been helping to change lives since 1989 and now we re unveiling a new brand that we Believe embodies this philosophy. Have a look and see If you agree. 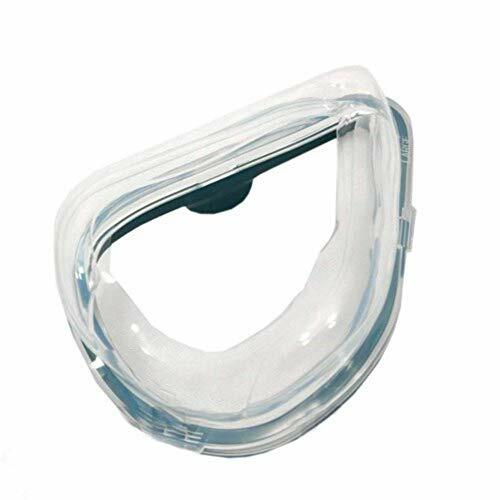 Replacement mask cushion for the ResMed Mirage FX Nasal CPAP Mask.